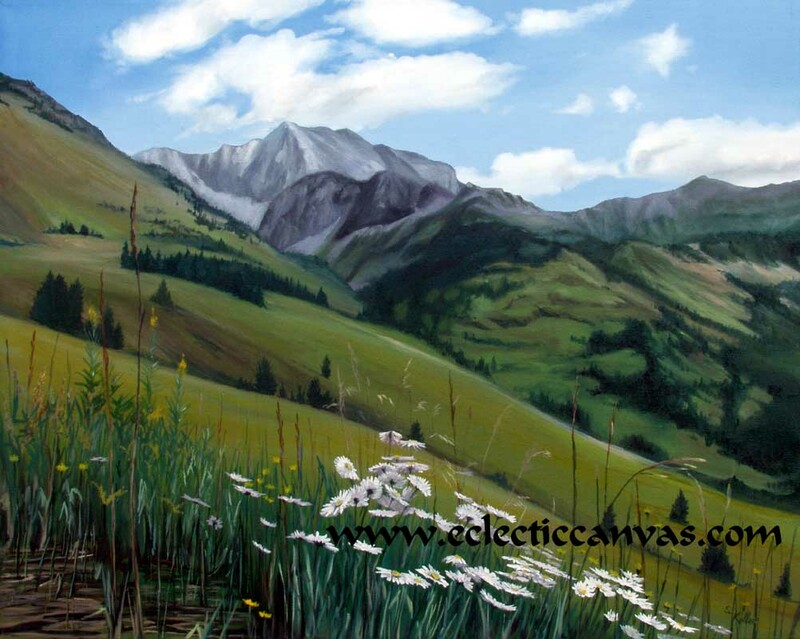 This original painting is 30 X 24 in, oil on gallery-wrap canvas. The sides on a gallery-wrap canvas are 2 inches wide and painted to match the front so no unpainted edges are visable. The painting is meant to be hung unframed and lies flat against a wall. Consequently, the price does not include framing.